I would like to thank you for reading World Kids and for your support to this very personal project. I am thrilled to write this first post for World Mums, our newest section at World Kids. Please consider this also as your own place! As a woman, sometimes I feel that we are burning out, putting too much pressure on ourselves to be perfect (the perfect mother, the perfect wife, the successful business woman…!!) and working long hours. This new section is planned as a small sanctuary for real and normal mums. We will learn to take care of ourselves, to appreciate life’s precious moments and indulge in the small pleasures of our lifes. For this first post, I wanted to share with you the discovery of Crea-m. Let this video make the formal presentation! Crea-m is a new Barcelona-based brand created by Lipotec Laboratories, with over 25 years of experience. Crea-m only sells on-line their high-quality cosmetic products and they ship worldwide. Their idea, concept and manifiesto sound really fresh and exciting! Also, I am fascinated by their packaging, full of inspiration and positive quotes! I am really thrilled to share with you two of their amazing products that I have tried and that I truly recommend: their Sensitive Skin and their Moisturizing Cream. These two creams are hypoallergenic and paraben-free. Their moisturizing face cream is suitable for all skin types, including also sensitive skins like mine. It moisturizes, protects and revitalizes my face on a daily basis. It is a light and soft cream, with a very intense and lasting hydration, that also protects my skin against solar radiation thanks to its SPF 20. 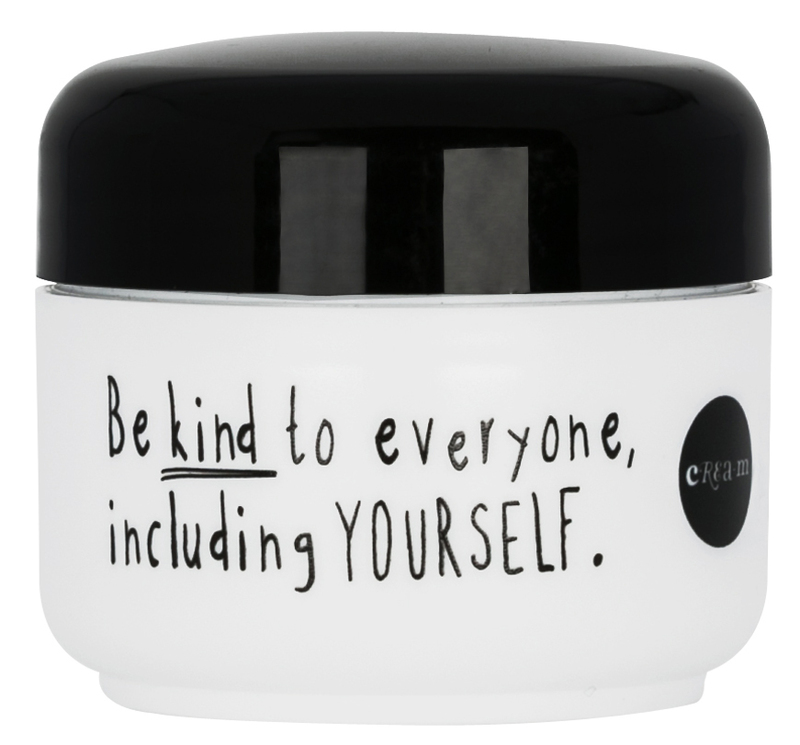 I have turned my super short moisturizing morning routine into a small treat as I am reminded each day “to be kind to everyone, including myself”. Crea-m Moisturizing Body Cream is also an amazing product. I love that it has a non-oily and quick absorption formula, which is great as I have very limited time each morning. I feel my skin really nourished and smoother. If you would like to know more about Crea-m and their complete line of face & body skincare products (anti-cellulite cream, anti-aging serum, bust remodeling gel, anti-wrinkle cream, eye gel and illuminating and anti-dark spots cream) , please visit their website. 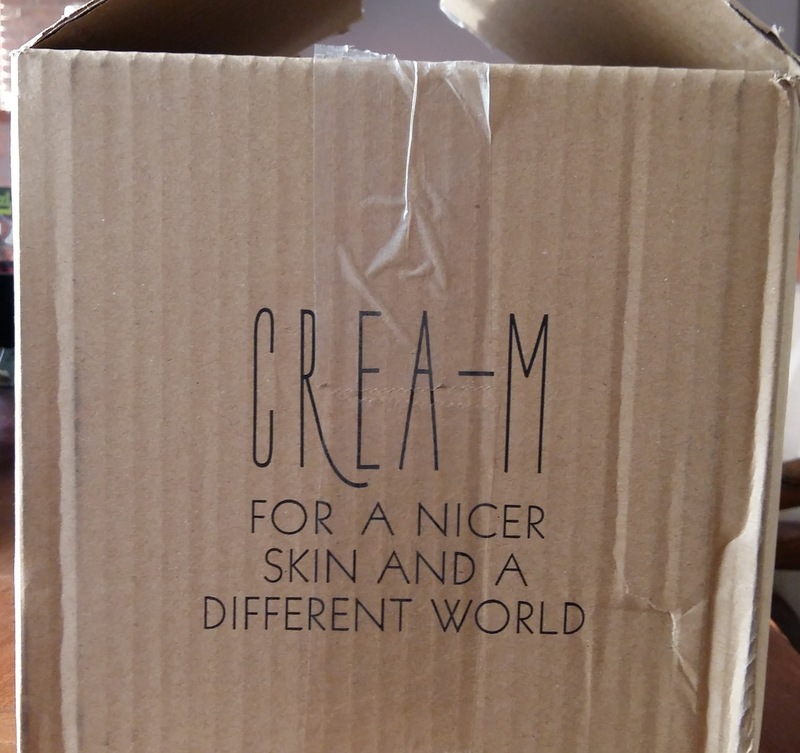 As their shipping box quotes: Let’s hope for a nicer skin and a different world (a better one please)!